Just What is a Peer? We are inundated with messages from an extroverted world that emphasizes the need for peers. And, as a therapist, yes, I do agree that relationships and peer relationships are important for a fulfilling life. But, just what is a peer? According to the online definitions I found, a peer is a person who belongs to the same social group based on age, grade, or status. But, when I dug just a little deeper to consider the etymology of the word “peer”, I found that it wasn’t until 1944 that the word became associated with age. For 600 years prior to that, peer was simply defined as a person equal in rank or status. Why do I bring this up? Because the concept that we should be relating and finding all of our social group among similarly aged people is REALLY new. And this is something for us parents to keep in mind. Having a relationship with a true peer, someone with whom our interests or development is relatively equal, is far more essential than forcing our children to connect with similarly aged people. With gifted kids, this is especially true and especially freeing. There is nothing wrong with our gifted kids having a friendship with a 32 year old who is equally fascinated by photography. There is nothing wrong with our gifted kids having a friendship with a 67 year old who is equally passionate about the humane treatment of animals. There is nothing wrong with our gifted kids having a friendship with a younger child who is equally dramatic. Well, except for the days when those dramatic tendencies collide! Here's my point – our gifted kids benefit from the original definition of peer. Often our gifted kids find connections with people across the age spectrum easier than kids of the same age. But our modern society sends us extraverted, age-grouped messages and I, for one, have found that I’ve internalized many of these. In my head I balk at the idea that friends need to be similarly aged. As an introvert, my head knows that some people only need 1 or 2 close friends to feel contented. But my gut keeps forgetting the things my head knows, and if I’m not careful, I find myself filled with this weird urgency to foster different “peer” friendships for my children. Especially as a homeschooling mom, I find myself getting caught up in the fear that my children are actually not receiving “socialization” simply because it looks different than the norm. 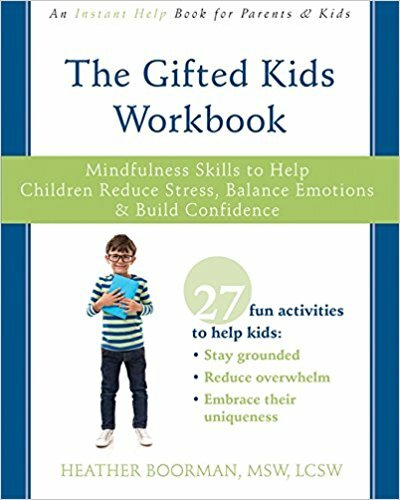 And as a mom to some gifted kids, I find myself getting caught up in the fear that they’ll turn into a socially awkward loner of an adult who’s living in a shack deep in the mountain woods, playing video games over their self-constructed satellite internet signal 24 hours a day. Not that there’s anything wrong with that, I suppose. Except I want my kids to launch confidently into this world and I want them to feel the fulfillment of quality peer relationships. So now we come back to the original question: What are quality peer relationships? For our gifted kids, especially, it’s relationships in which they find commonality, camaraderie, and stimulation. And sometimes that looks like 15 friends all the same age, and sometimes that looks like 1 friend, who is older or younger or anywhere in between, but who completely and fully understands my kid and cares about similar things. Peers are important. But, peers have nothing to do with age or grade. And if I can let society’s messages that lots and lots of similarly aged friends is the only way to have real relationships slip right out of my gut & head, then I can actually allow my children to find their peers. They tend to understand who their peers are better than I do if I simply provide the opportunities and stay out of their way. My oldest went to a one-room school house for a short time and at 8 years old his closest friends were in their teens. My youngest was bouncing from one small group to another at a homeschool park day. And when he discovered that the kids his age were still engaging in parallel play instead of the rich imaginative and collaborative pretend play that he desired, he moved on to the older kids. And when the older kids only saw him as the cute little kid who had the motor coordination of his 2 years of chronological age and didn’t really want to play with a baby, he moved on to play all by himself. And he did so quite joyfully. I was the only one who felt a pang of sorrow for him as he tried to find his peers. He was fine with knowing that no one there quite fit the bill. I guess, in the end, it all comes down to what we choose to normalize. Our society defines peers by age and claims that to be normal. I will continuously strive to normalize the more traditional understanding of what a peer is, and in so doing, I hope my kids won’t have quite as many of those unhelpful, internalized messages questioning what they know to be true in their heads. For more great articles about finding peers for gifted and 2e kids, check out the other blogs through the GHF BlogHop!